Prof. Dr. Volker Warzelhan, born 1948, did his PhD in physical polymer chemistry with G.V. Schulz at the university in Mainz, Germany, and passed a postdoctoral fellowship in Paris.He joined BASF’s plastics research laboratory at Ludwigshafen, Germany, in 1978. After several stages in strategic planning and controlling he became senior vice president research advanced composites and later engineering plastics. From 1999 – 2002 he headed as group vice president the regional business unit Asia/Pacific for Styrenics located in Singapore.Until his retiremet in 2012 he was responsible for the world wide research in thermoplastics and the spokesman of BASF’s research for the automotive industry. 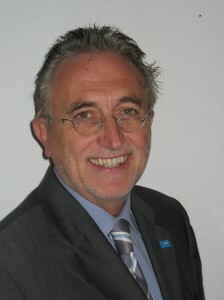 Currently he is chaiman of the German Carbon Composites Southwest Assosiation and acts as consultant. He is honorary professor of the university of Marburg and lecturer at the university of Bayreuth, Germany, and at the German Institute of Science and Technology in Singapore.